Bloom on 399 Fulham Palace Road is a new cafe, bar & restaurant serving food, drinks & cocktails. 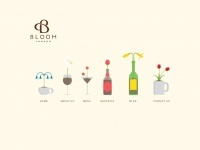 Bloom is all about delighting the senses and the soul-providing a mid-week refuge and a weekend wind-down. Its signature brunch and bowl food brims with colour and a fresh new style. Simple dishes feature high quality ingredients with a creative flourish from the Bloom Chef. Weekend and seasonal specials pamper you extravagantly but healthily after a hard-working week. Later on, there will be a delicatessen ar ..